TEHRAN, Dec. 8 (Mehr News Agency) - The curator of the National Museum of Iran (NMI) said here on Friday that the distortion of the name of the Persian Gulf in the Louvre's catalogue is the result of Arab economic influence over the museum. "The distortion of the Persian Gulf's name in the Louvre's catalogue is not something new. It has occurred due to the Arabs' economic influence over the museum during the 1990s," Mohammadreza Kargar told the Persian service of CHN. Kargar noted that French archaeologists became pioneers of excavations in Iran after reaching an agreement with the Qajar dynasty. 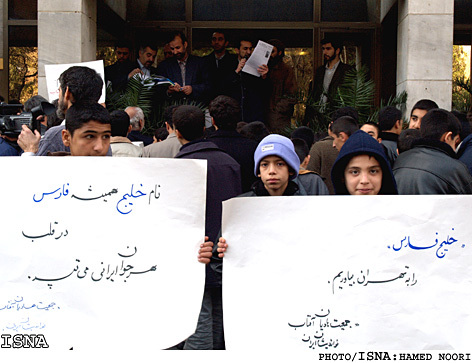 However, the victory of the Islamic Revolution put an end to their activities and they began working in Iran's neighboring countries, particularly Arab states, which provided appropriate financial opportunities, he added. The money the Arabs spent to pay the archaeologists created some expectations, one of them being the alteration of the name of the Persian Gulf, he explained. The longstanding relationship between the French and the Arabs is another avenue used for applying pressure to change the name of the Persian Gulf, Kargar noted. "No country in Europe besides France has such close relations with Arab countries in the Persian Gulf. These relations are strongly influenced by cultural ties. We see one of the most important research centers in the heart of Paris is run by France and Saudi Arabia. Several months ago, Paris played host to an exhibition of Arab civilization, which was opened by Jacques Chirac and King Abdullah," he explained. "A few years ago, the Louvre began the rearrangement of its Islamic section, which is mainly being financed by Saudi Arabia and a member of a royal family of an Arab state in the Persian Gulf. One of the major problems in the Louvre's Islamic section is the fact that the artifacts of Islamic countries have not been displayed separately, so every Islamic country is considered Arab by the museum's officials. 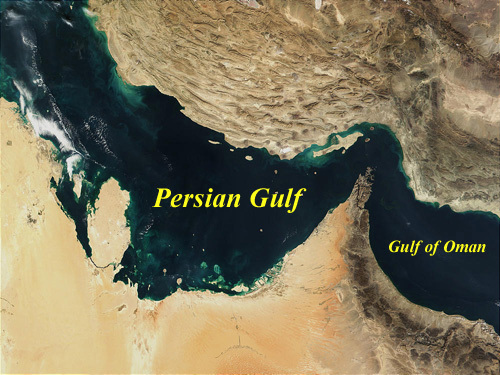 Such a mistake has caused the distortion of the Persian Gulf's name." In all their talks with the Louvre, NMI officials have reminded them about the issue, Kargar said. The substitution of the false name "Arabian gulf" for the Persian Gulf in the Louvre's catalogue and the maps installed in the museum's halls created a media frenzy in Iran last week as several newspapers covered the issue on their front pages. Several Iranian MPs called on the foreign minister to take more vigorous "diplomatic action in response to the ill-mannered action of France in omitting the name of the Persian Gulf from the historic maps of the Louvre". In addition, the deputy director of the Cultural Heritage and Tourism Organization said that if the Louvre does not correct the maps, Iran will revise its relations with the museum. "The Louvre is very eager to expand cultural ties with Iran, so this policy will make them correct the maps," Alireza Sajjadpur told the recently-established Persian daily Tehran-e Emruz on December 5. 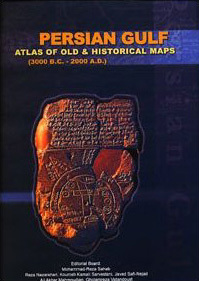 However, Kargar believes that the CHTO and NMI can not solve the problem only through talks with the Louvre, adding, "Unfortunately, many French maps published during the 1990s are tainted with the falsification, and this distortion should be dealt with based on UN documents on the issue. "Thus, I think the Louvre's curator will have a free hand for revision." According to Kargar, there were not many relations between NMI and the Louvre before NMI, the CHTO, and the Louvre signed a memorandum of understanding about three years ago. Afterwards, the Louvre promised to amend the documents. "In talks, we have always emphasized that the name of the Persian Gulf must be used instead of any other false name and Mr. (Henri) Loyrette (Louvre curator) has accepted our request, but it seems that there are some obstacles in the way, i.e. he, as curator, is not able to implement his idea to change the catalogues," Kargar said. He expressed his disappointment that such an important museum would distort historical facts and ruin its international reputation due to economic problems. The Cernuschi Museum of Paris, which held an exhibition of Sassanid artworks loaned from the National Museum of Iran and the Reza Abbasi Museum in Tehran last September, corrected its catalogue by removing the false name for the Persian Gulf.